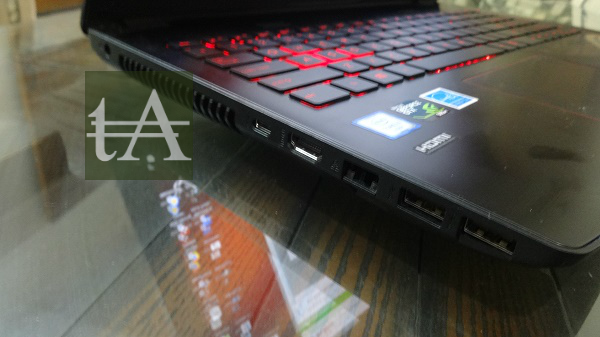 No doubt Asus’s Republic Of Gamers series laptops are the high-end devices which are known for their build and design as well as for their under the hood features, but sometimes it does come for a heavy price. Most of the time we had seen, almost all of the ROG laptops features the same design language which sometimes easy to recognize them but sometimes it is too common and boring as well. 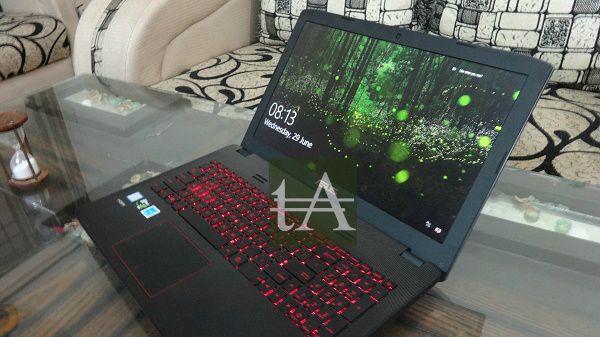 Today we have got Asus ROG GL552VM with us for review, this laptop is mainly for those who want to get ROG laptop but don’t want to empty their pocket much, there is a cheaper variant of this laptop as well which we had already reviewed. 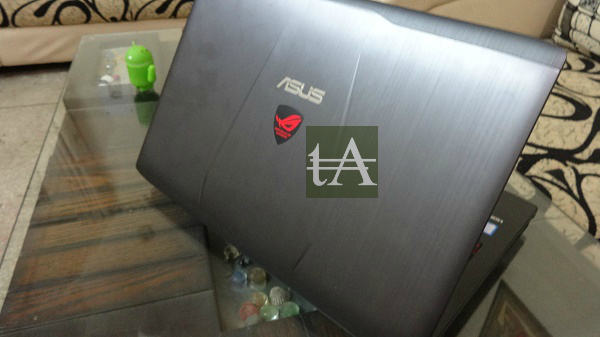 At first look, this Asus GL552 do looks like Asus ROG G751, but yes it does not feel like that for sure. 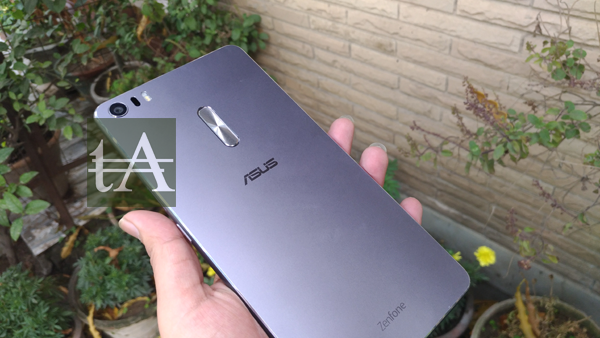 It can be easily noticed that Asus has kept the cost of materials to the minimum but still the build quality is appreciable here. 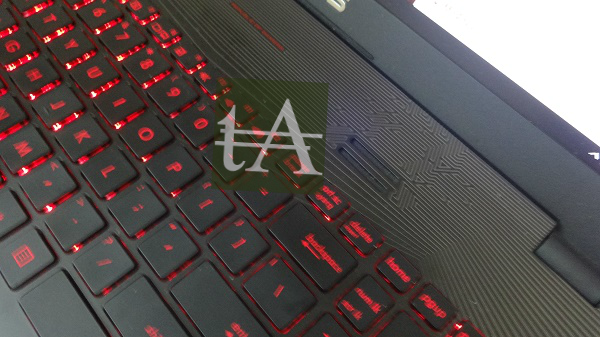 The lid of it is made up of metal which do look premium and nice but it do add some weight to it, there is aa Asus ROG logo which does light up, at the other side of the lid you will find a web camera which does its job very fine, 15.6-inch screen and Asus logo at the bottom. 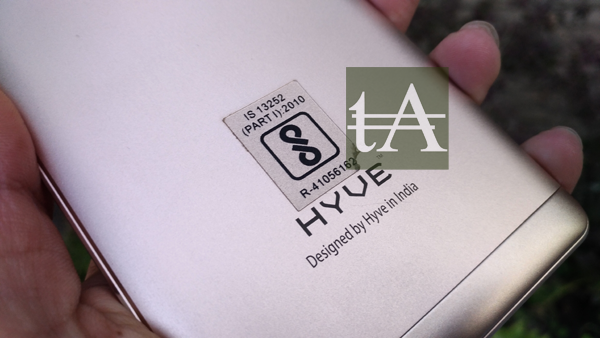 The bottom part of it is made up of hard plastic which makes this device little bulkier and thicker in its class of laptops. When it comes to connectivity and ports then the left side you will find heat dispersing grill, USB Type-C port, VGA port, HDMI, LAN and two USB 3.0 ports. While of the on the right, you will find only USB 2.0 port and two 3.5 mm jacks for headphones and external microphone and an optical drive. 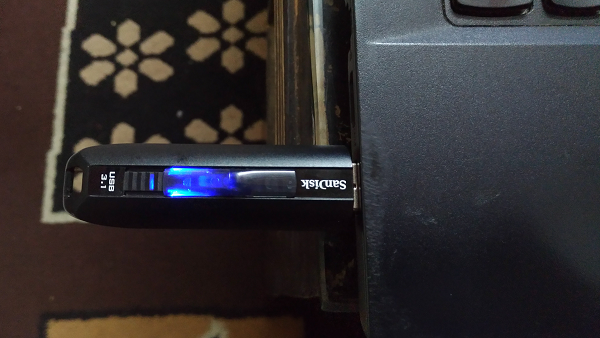 There is an SD card reader at the front end of it as well along with LED notifications light at the front side which makes easier for you to recognize respective functions. Moving to the inner side, you will find nice stripes design at the top of your keyboard which gives a different look to it, the area around the keyboard is glossy and looks nice but it smudges friendly as well. The design and build quality is nice, but it is certainly not as good which we had seen in other ROG laptops, but again the price of this laptop is little low as well. 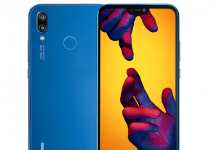 When it comes to under the hood features then, it is powered by Intel CoreTM i7-6700HQ Processor 2 GHz (6M Cache, up to 3.20 GHz) along with DDR4 16GB of RAM which can be expandable, it has got 1TB of Hard Disk, no SSD here and graphics are being handled by NVIDIA GeForce GTX 960M (4GB GDDR5). Our review unit was shipped with 64 Bit Windows 10 right out of the box, Nothing is new in terms of OS, however, the company has made some tweaks like they had changed boot screen, you will find some gaming related apps pre-installed which will enhance your gaming experience. In terms of bloatware’s, then just like any other ROG laptop, this one too has lots of bloatware’s likeAsus Gaming Center which is quite useful which allows you to tweak with gaming profile, display, audio profile and so on. 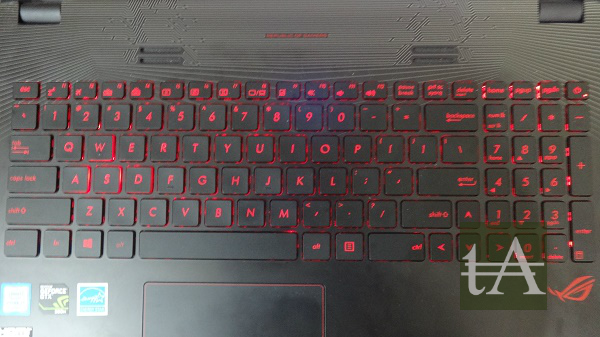 The keyboard on Asus ROG GL552VM is nice with good key travel, soft and gives nice tactile feedback, the “WASD” buttons are different in colors which make them easily recognizable which is good for playing games and the overall keyboard is very comfortable for typing. Keyboard do support backlit which allows you to work in the dark environment as well, and the good part is you can adjust the brightness level according to your need. Where keyboard is really nice, on the other the hand trackpad is big let down her, surely it is big with good touch response but the moment you press it you will see how hard it is, no matter which button you press, either left mouse click or right mouse click, it is stiff and wobbling. The Asus ROG GL552VM comes with a 15.6-inch FHD (1920 x 1080 pixels), and it has got nice color accuracy and color reproduction was also very nice. The color brightness and temperature is also nice and in the acceptable range, and the viewing angles on this screen are also nice. 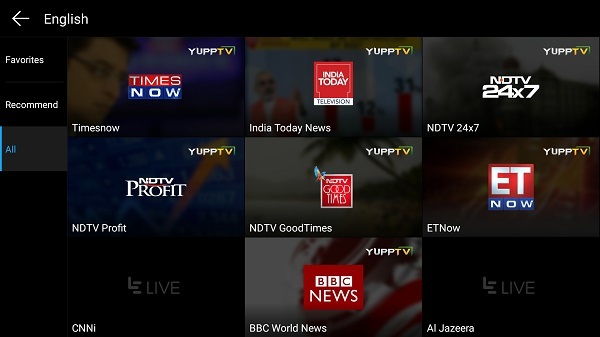 However screen flickering is there which should not be there, and sometimes we had noticed that screen response time is little slow. 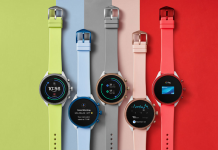 It does come with ASUS Splendid Technology which makes fine-tunes display properties based on application, adjusting color gamut and accuracy, you can select from the pre-defined options, or you can adjust colors manually according to your needs. Asus ROG GL552VM has got two speakers are at the top of the keyboard and as they are on top, audio is not going to muffel and the sound quality is loud and clear, they can easily fill a small room, all thanks to Asus SonicMaster technology. To test the performance of this laptop we did some heavy tasks and played some games as well, we played games like Need For Speed MW, Mortal Kombat X, Battlefield Hardline, and GTA V, gaming was not an issue on this laptop, however when we tried to play NFS Rivals, and again there was no issue at all. We edited some FHD videos on Adobe Premiere Pro, edited RAW images on Photoshop and all went fine, no issue at all. It features a 7,200 RPM HDD which results in faster storage speeds, we tried to copy media files from a DVD and on average it got the speed of 97.8 MBPS which is again nice. Another thing which we had noticed while using this device is that even if you do the heavy task, there was no sign of heating on this laptop. 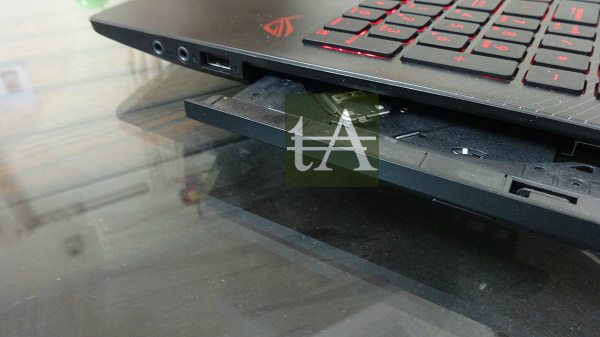 Asus ROG GL552VM has got 4-cell Li-Polymer battery, and on our test, it lasted 4 hours 37 minutes on web surfing over WiFi with 100 percent brightness. We also played an FHD video on loop and it lasted for 3 hours 45 minutes. You can easily make the upgrade to your laptop, at the back it features a slide-off upgrade panel which allows access to M.2 SSD or you can increase the memory of your device to get more power. 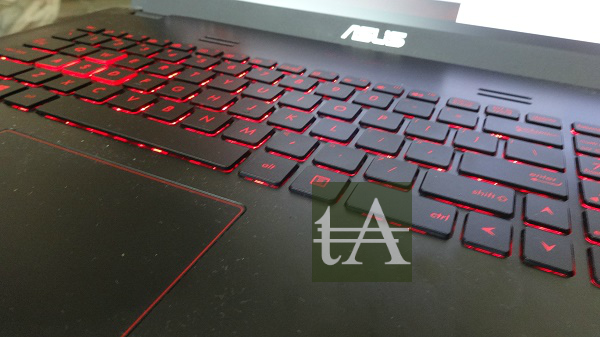 Asus ROG GL552VM has got some nice features like the faster hard disk, nice and colors rich display screen and good keyboard as well. 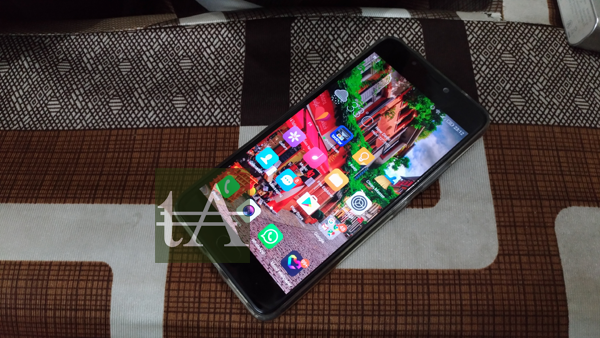 No doubt, Asus has managed to put high specs in low price as compared to its competitors. The build quality is also very nice, yes it do adds some weight but it is fine, the only issue which we faced is with trackpad and screen flickering, but again if you are a gamer then you are not going to use the trackpad, instead you will use your mouse to it.